Speed is important, but not paramount, new report claims. In today’s fast-paced world, one might think consumers value speed more than anything. In case of online banking, however, this is not the case. Instead, consumers would rather have more security than speed. This is according to a new report by MYPINPAD, the company that enables multi-factor authentication for touchscreen devices. The report, entitled Consumer Trust and Mobile Payments Growth, states consumer would very much like multi-factor authentication implemented. 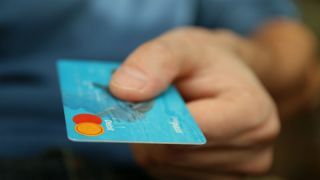 When asked what online retailers could do to improve trust, 40 per cent would love to use cardholder PIN, 50 per cent would like to see a combination of PIN and biometrics, while just two per cent valued speed over security. More than two thirds (67 per cent) are concerned about online shopping and banking security, while 51 per cent said information on data breaches changed the way they approach online shopping and banking. Almost a third (29 per cent) have been a victim of fraud, which made 11 per cent shop less, and 10 per cent abstain from making mobile transactions whatsoever. “The latest UK government figures show 90 percent of large businesses and 74% of SMEs have suffered a security breach,” said David Poole, Business Development Director at MYPINPAD.